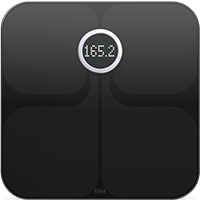 visitors to Fitbit products from your site or blog. Four benefits of becoming a Fitbit affiliate. All our products sync wirelessly to Fitbit’s free social and motivational tools, like leaderboards, food logging, Fitbit Challenges, progress charts and more. Fitbit works on iOS, Windows and Android devices, and our app is the top-downloaded mobile app for connected fitness devices. There’s a Fitbit tracker for every goal, every budget and every fitness level—from the discrete and simple Inspire to Versa. Our products are built with advanced technology—like Versa, which is designed with continuous, wrist-based heart rate monitoring. Fitbit cares about its customers and has extremely high customer service ratings. The Fitbit Affiliate program is available to sites based in the U.S. and Canada, and is free to join. Simply apply through CJ, wait for acceptance, and add our banners or links to your site to start earning commission every quarter! How does Fitbit’s Affiliate Program work? 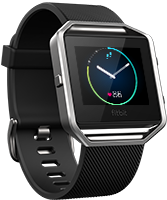 The Affiliate Program allows participating websites and blogs to earn commission on sales referred to Fitbit by posting links and banners. Anyone can apply to Fitbit’s affiliate program, but Fitbit reserves the right to review, reject or accept any application for any reason. CJ requires affiliates to have a valid website address and a valid email address in order to join. Fitbit works with CJ to manage our Affiliate Program. Joining CJ is free. If you are approved by CJ, you can search for and apply to Fitbit’s affiliate program. Once we accept your application, you’ll have access to current and upcoming web banners and links, which you can then post on your web page or blog. Any sales driven through those links earn you commission. Does it cost me anything to become Fitbit’s affiliate? We pay starting at 3% commission rate. High-volume affiliates are eligible for higher commission levels. Are websites outside the US eligible? At this time, only websites based in the US and Canada will be accepted to Fitbit’s affiliate program. How do I access banners and links to Fitbit’s site products? When you join CJ you will have access to a creative library with our most up-to-date and seasonal banners. If you have any questions or need help getting started, contact us at affiliates@fitbit.com. WANT TO BECOME A FITBIT AFFILIATE?